● Obtain a REAL ID, Driver’s License Renewal, and State Identification Card. ● Manage your vehicles easily and securely. ● Receive renewal reminders when your registration or license is expiring. ● Renew Vehicle Registrations easily and quickly. 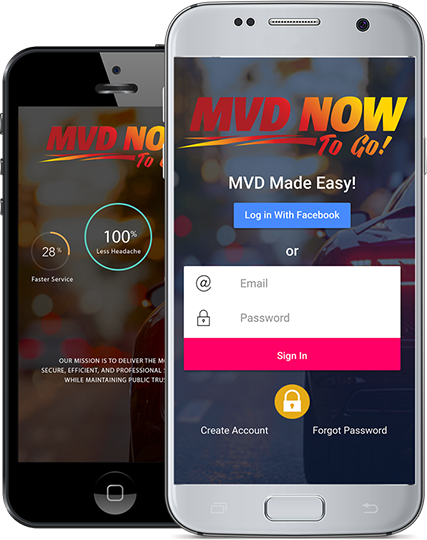 ● Ask an MVD Now representative any DMV question. ● Calculate your DMV fees.